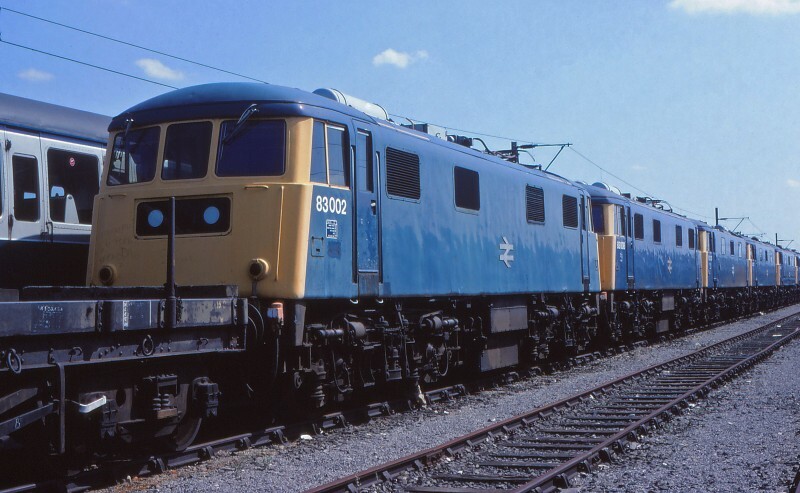 Martyn Hilbert's Railway Photography - AC Electrics - 83002 at Longsight Depot. 83002 heads a line-up of withdrawn Class 83 locomotives at Longsight Depot on August 14th 1983. The locos in view here were 83002, 83008, 83013, 83010 & 83007. None of them worked again and were all subsequently scrapped.